The motivation for the Master of Engineering Leadership degree is to provide professional engineers with the opportunity to move from purely technical positions to those of engineering management. This is particularly relevant in the integrated water management area, where traditionally, students with backgrounds in civil engineering or chemical engineering would work for organizations for a time and, if they performed well, might move up into a management role in an area where they have only limited technical expertise. We identified that there is a need for something more. I see this program as a combination of MBA-type training with advanced training in water management from both a civil engineering and chemical engineering perspective. This offers significant value to students, as it is difficult to accumulate this knowledge and expertise within a typical working environment. I have been at UBC since 1987, and my area of specialization is environmental fluid mechanics. I will be teaching one of the five core technical courses within the MEL in Integrated Water Management program. Each course is taught by a world-renowned academic with strong connections to the consulting industry and who is very involved in solving practical problems. I have conducted collaborative research with municipal, First Nations, provincial and federal agencies and a wide range of industries. Right now I am working on rehabilitating a mine pit lake in the Northwest Territories, assessing the effects of reservoir operations on fisheries, and the viability of using water caps to isolate tailings from the oil sands industry. Water management affects so many industries. 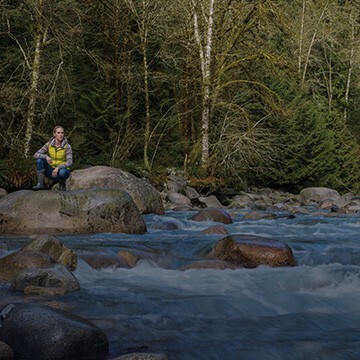 Most of British Columbia’s economy is driven by activities — like mining, hydroelectricity, forestry, fisheries and agriculture — where water and water management are significant issues. Graduates of this program will be in an excellent position to help develop innovative solutions to water management. 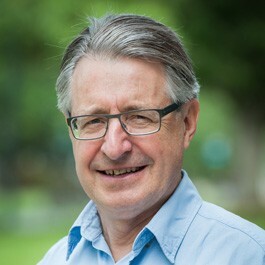 Dr. Greg Lawrence has been a faculty member at UBC since 1987. Focusing on the impact of the fluid mechanics of inland and coastal waters on water quality, chemistry and biology, Dr. Lawrence is investigating techniques to minimize the environmental impact of waste discharge and is restoring and rehabilitating lakes and other water systems that have been polluted. He was elected Fellow of the Canadian Academy of Engineering in 2011 and the Canadian Society for Civil Engineering in 2012, and is the recipient of numerous awards, including the Camille Dagenais Award for his contributions to the development and practice of hydrotechnical engineering in Canada (2011), the BC Premier’s Award (2010) and the Journal of Environmental Engineering Editor’s Award (2001). Dr. Lawrence also served as an elected faculty member on the Board of Governors of UBC from 2001-2008.